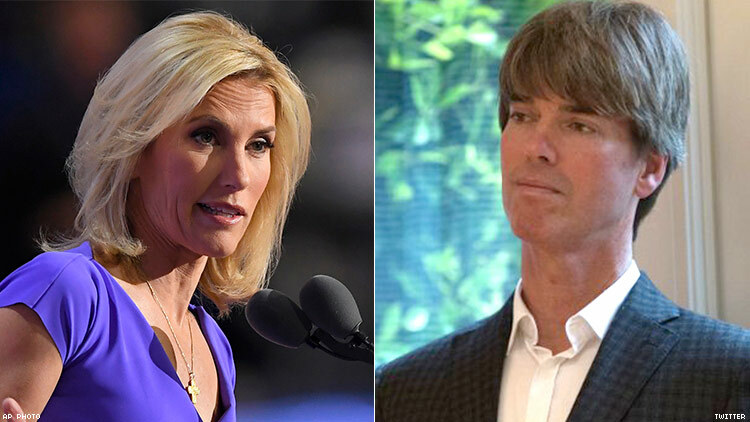 Conservative commentator Laura Ingraham’s gay brother, Curtis, has declared war on her, calling her “a monster” in an interview with The Daily Beast and attributing her anger to growing up in a family with an abusive, Nazi sympathizer father. Curtis Ingraham once had a close relationship with his sister, but that has changed in recent years, as she has become more anti-LGBTQ. Back in 1997, she wrote sympathetically about Curtis and his then-partner, Richard Smith, who was ill with AIDS (Smith died later that year). In an op-ed in The Washington Post, she apologized for antigay rhetoric in her college newspaper, and said her brother and his partner had given her a better understanding of gay people and lessened her opposition to marriage equality. But since then, Laura Ingraham, who now hosts The Ingraham Angle on the Fox News Channel, has become more religious and more hostile to LGBTQ rights, her brother said. “That’s what I’m trying to unveil here, the hypocrisy,” he told the Beast. “‘Family’s first, I know about gay rights, my brother is gay.’ It’s all a sham.” (She actually has a long history of anti-LGBTQ statements.) Ingraham also notably pushes racist dog-whistles, like claiming immigration has changed the country to the point that "the America we know and love doesn't exist anymore." He frequently uses his Twitter account to respond to her on-air comments, such as when she claimed gun control activist David Hogg, a survivor of the Parkland, Fla., school shooting, was whining about the rejection of his college applications, and implied that his grade-point average was not good enough. Curtis Ingraham joined in the call for advertisers to boycott The Ingraham Angle, and Laura Ingraham eventually apologized for her remarks.